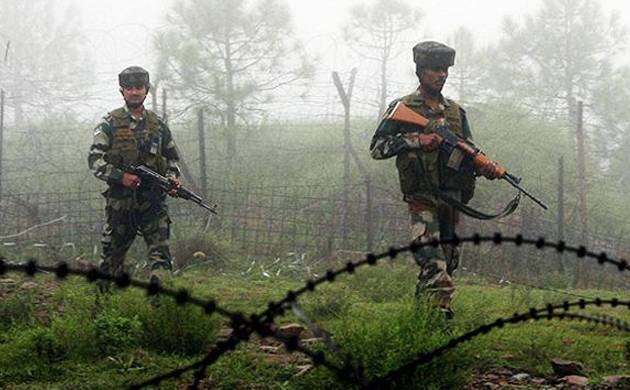 Indian Army on Friday shot down two soldiers of Pakistan’s Border Action Team after they opened fire on patrol party along the Line of Control in Uri sector. Indian Army on Friday opened fire on Pakistani troops in retaliation to their ceasefire violation along the LoC in Uri sector in Jammu and Kashmir. Operations are still on. According to reports, weapon, one AK 47 rifle, one pistol have been recovered with the two bodies of BAT attackers. Last month, Pakistan's BAT force had infiltrated and mutilated a BSF jawan and an Indian Army soldier. The attack comes amid the heightened tensions between India and Pakistan. On Wednesday, Pakistan’s army, Air Force and Navy had warned India that it was fully capable of thwarting any aggression. Pakistan’s naval chief Admiral Muhammad Zakaullah, while addressing a gathering at Lahore's Naval War College, said that "the Pakistan Navy was fully capable to thwart any aggression and will be equipped with the latest equipment to defend maritime borders of the country". Pakistan’s Air Force chief had warned that his forces will respond to any aggression by the “enemy” in a manner that their future generations will also remember it. Air Chief Marshal Sohail Aman emphatically said that Pakistan will give a befitting response to any misadventure by the enemy, Radio Pakistan reported. “Our response to any aggression by the enemy will be such that their future generations will also remember it,” he said according to the report. The Air Force chief made the remarks after taking part in Air Force exercises and flying a Mirage fighter jet during his visit to Skardu. He also reviewed the exercises and operational preparedness of the Pakistan Air Force (PAF). His visit coincided with reports in Pakistani media that the Air Force flew fighter jets near the Siachen Glacier - the world’s highest battleground. The Indian Air Force in New Delhi denied that the Pakistani fighter jets violated the Indian air space. Tensions between India and Pakistan have run high since the attack on an Indian army base in Uri in September last year in which 18 Indian soldiers were killed by militants based in Pakistan-occupied Kashmir. Ten days after the attack India launched “surgical strikes” there to destroy “terrorist launchpads”. More recently, the Indian Army announced that it launched “punitive fire assaults” on Pakistani positions across the Line of Control earlier this month, inflicting some damage. The action was taken in response to the beheading of two Indian soldiers in Kashmir by Pakistani special forces. On Wednesday, the Pakistani Air force chief said the PAF was fully prepared and capable to defend the country’s frontiers.